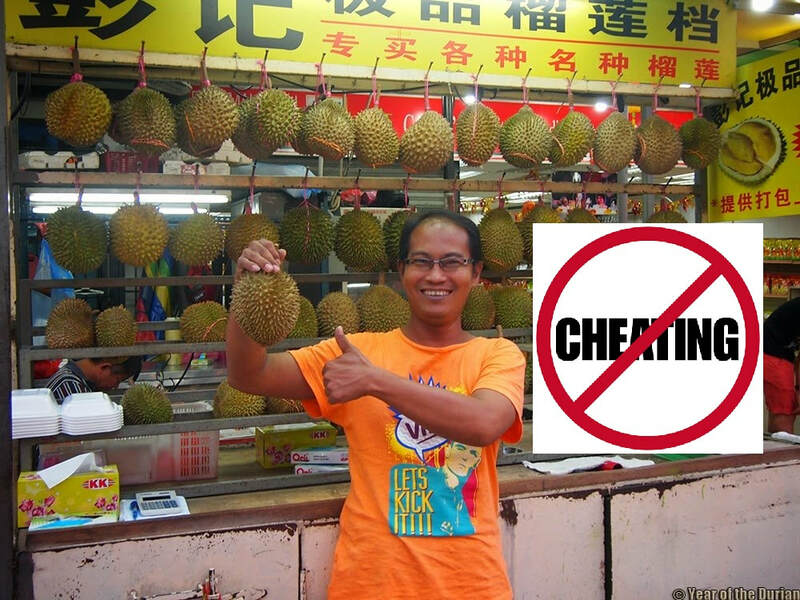 AN EXPERTS GUIDE TO NEVER GET CHEATED BY DURIAN TOUTS. 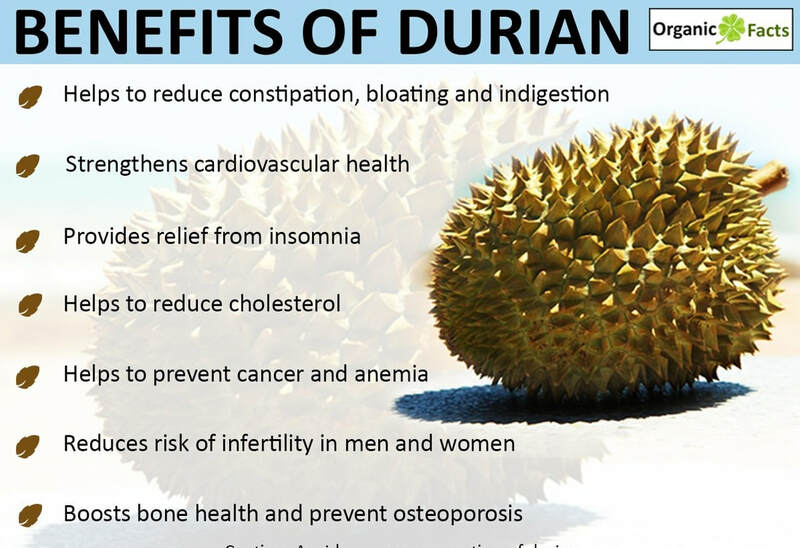 Health Benefits of Durian. 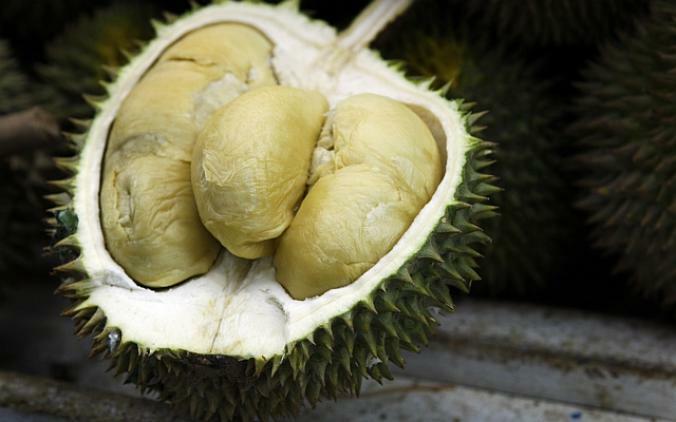 Like other tropical fruits such as banana, avocado, and jack fruit, durian is rich in energy, vitamins, and minerals. It offers phytonutrients, water, protein, and beneficial fats. ... The fruit boasts a good amount of minerals such as manganese, copper, iron, and magnesium. Flavour: Bittersweet, creamy, sticky. 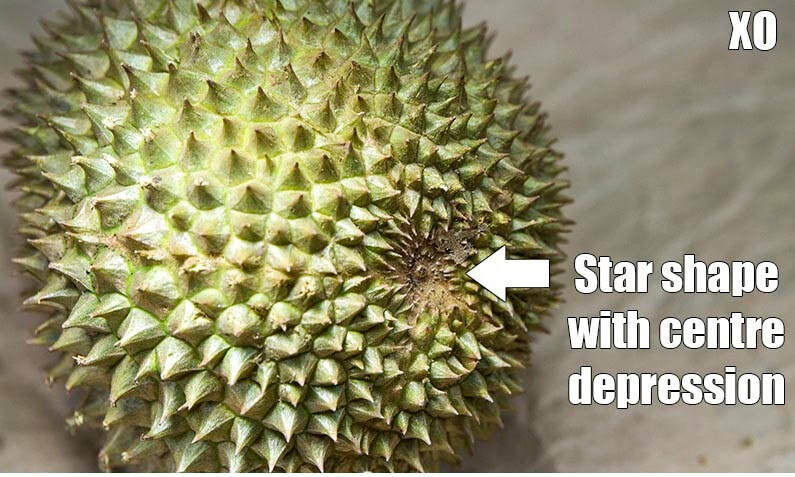 In the same durian, flesh could be bitter and/or sweet. Base: Brownish five-pointed star. A little bald. 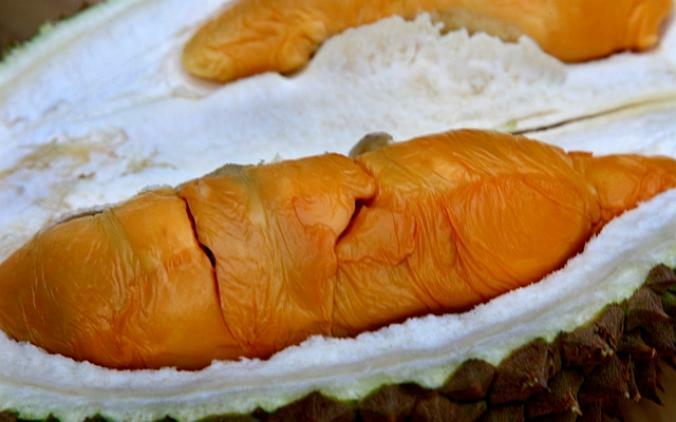 ​There’s no doubt that all durian lovers love the Mao Shan Wang. Here’re some tips when choosing a Mao Shan Wang (also known as Cat Mountain King). 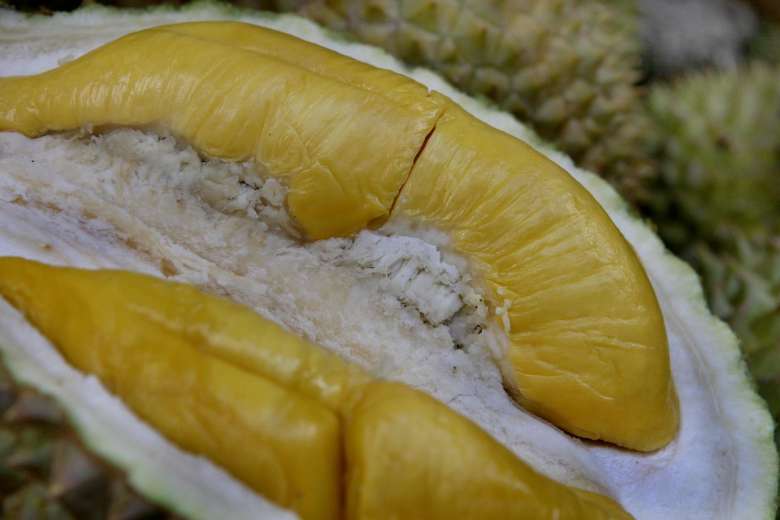 Look for these distinct features altogether in one durian. 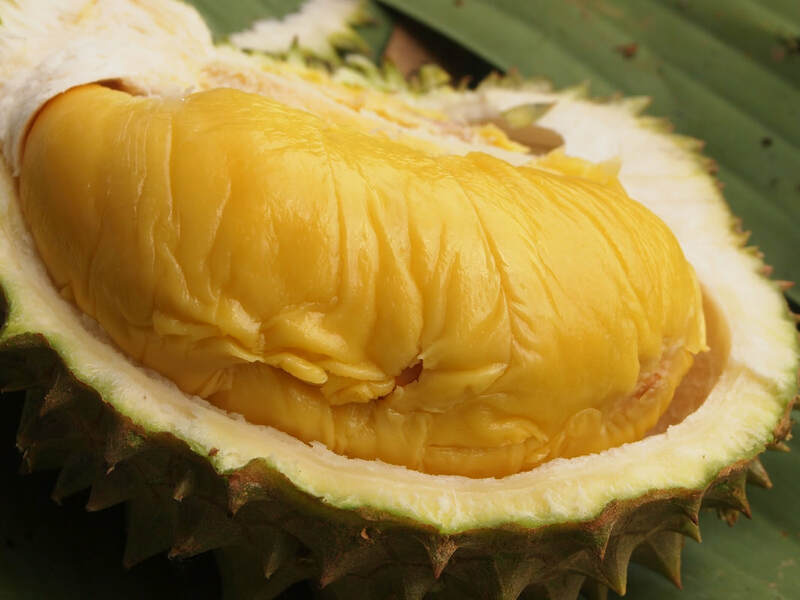 Musang King is currently regarded as the best durian in Malaysia. It’s the most sought after, desired and expensive of all durian varieties. 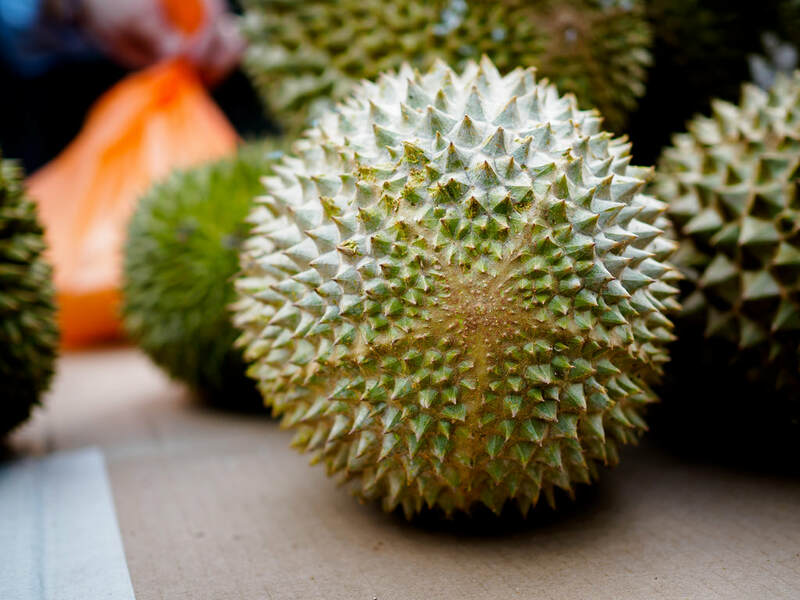 It sells for more than twice the price of an above-average durian. 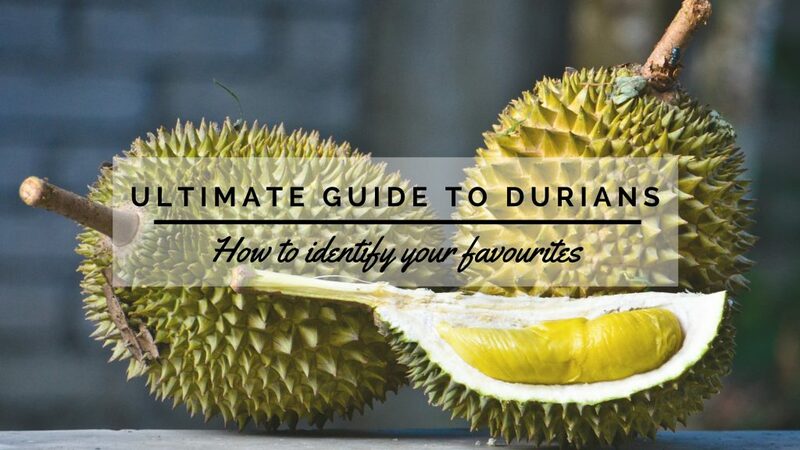 To avoid being conned by unscrupulous durian vendors trying to sell you an average durian as the Musang King, here are some features you must not miss. Thorns: Rather inconsistent. Either very far apart or close together, could be as thin as a needle, or rather pyramidical. Crown: Smooth and brownish gap between the stem and thorns. Base: Brownish five-pointed star. Balder, broader and more pronounced than the Mao Shan Wang. Base: Tiny almost non-existent base formed by thorns converging towards the base, forming a tip. The Golden Phoenix, also know as Jin Feng, is a pale-coloured durian type with very soft and wet flesh. More affordable than Mao Shan Wang, it is small in size and is very fleshy with tiny seeds and thin husk. The taste of the Golden Phoenix is sweet, bitter, creamy and slightly less pungent than the Mao Shan Wang. It’s considered a ‘value for money’ durian type as you get a good amount of tasty flesh at an affordable price. 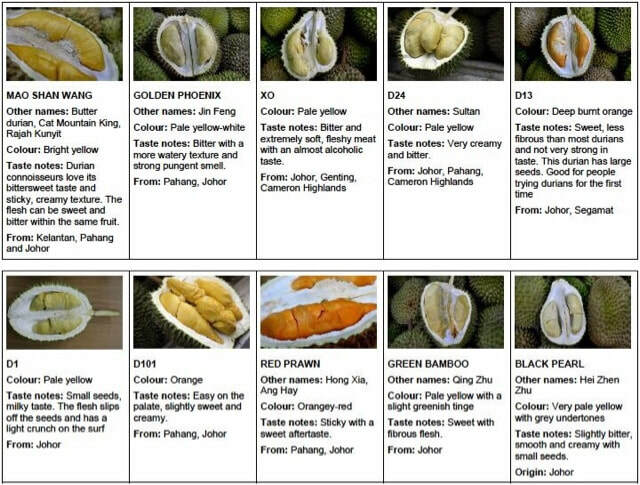 If you like sweet durian, Red Prawn (also known as Ang Hei or Udang Merah in Malay) is the right one for you. Its texture is beautifully creamy but often a bit too watery. This durian has a fruity sweet taste. Some varieties have tiny seeds, others have large ones. The red prawn durian shells are thick and hard to open. Though the durian looks large, there may not be a lot of fruit, as the core of the durian is wide. Black Thorn durians are the most prized durians of all – more expensive than Musang King. The flesh of the Black Thorn is nearly fiberless and has a bright orange colour. Flesh: Rich, creamy, fiberless, and sticky. Dark orange with reddish hue. IF YOUR ORDER IS BELOW $100 IN TOTAL ONLINE THEN A CHARGE OF $15 APPLIES. YOU CAN PAY THE DELIVERY MAN DIRECT ONCE HE ARRIVES WITH YOUR ORDER! latest batch releasing August 1st week - No preservatives so expiry is in November! Considered the ‘miracle” of food preservation and used by NASA to preserve food for the astronauts, Freeze- dried is the exciting modern technique in food preservation. Extracting water and moisture at subzero condition, Freeze-dried preserved all the natural flavours, aroma, colour, shape and essential nutrients of the fruits.100% fresh natural fruits with no additional flavouring and colouring + No heat or oil is used, WOW Freeze-dried fruit is high quality delicious healthy snacks simply not to be missed. Indulge and enjoy. We are dedicated to the creation of unique macarons for Asian palates, we have incorporated a range of exotic flavors such as durian, oriental black sesame, and Chinese lychee into the predominantly French dessert. From making over 500 macarons for a happy bride and groom to the painstaking building of colorful macaron towers, the macaron connoisseur offers taste buds sweet endings with handmade love and creativity. Macarons are now halal certified. NATIONAL FAVORITE! CALL US 9278 7777 TO GET DISCOUNT FOR BIG ORDERS. Our signature Durian puffs are filled only with 100% pure D24 fresh durian puree, with no additional mix-ins of cream or sugar. If you are craving for the real deal then look no further, these puffs are every Durian lover's dream come true. Every bite is sure to delight with their strong flavor bursts and soft pillowy texture, and you'll be left leaking saliva. Comes in a mini bite sized version. Made by locals for everyone in Singapore. Retailed as box of 10.
its shape, husk and thorns of the durian fruit to ensure that it reaches the certain grade to be graded into the AA+ category. Each packet is packed in a 20cm x 13cm Styrofoam box sealed to enhance its freshness within. All durians are packed and delivered within the day so as to guarantee every customer satisfaction when tasting the durians. Taste notesDurian connoisseurs love its bittersweet taste and sticky, creamy texture. The flesh can be sweet and bitter within the same fruit. IF YOUR ORDER IS BELOW $100 IN TOTAL ONLINE THEN A CHARGE OF $15 APPLIES. YOU CAN PAY THE DELIVERY MAN DIRECT ONCE HE ARRIVES. STOCK IS FRESH FROM MALAYSIA. IF WE HAPPEN TO RUN OUT OF STOCK, DO NOT WORRY, WE WILL DELIVER TO YOU AT EARLIEST POSSIBLE DATE ONCE WE RECEIVED OUR GOODS. ORDER WAITING TIME APPROXIMATELY 1-2 DAYS. DISPATCH COMPANY WILL CALL YOU PRIOR TO THEIR ARRIVAL, KINDLY MAKE SURE SOMEONE IS AROUND TO ACCEPT THE GOODS. Taste notes: Very creamy and bitter. ​Durian D24 has very special fragrance, smooth flesh and bitter ever. You can still feel its aroma even days after. On the nose, its aroma is mildly pungent and rich without being overpowering. On the palate D24 flesh tastes bittersweet. 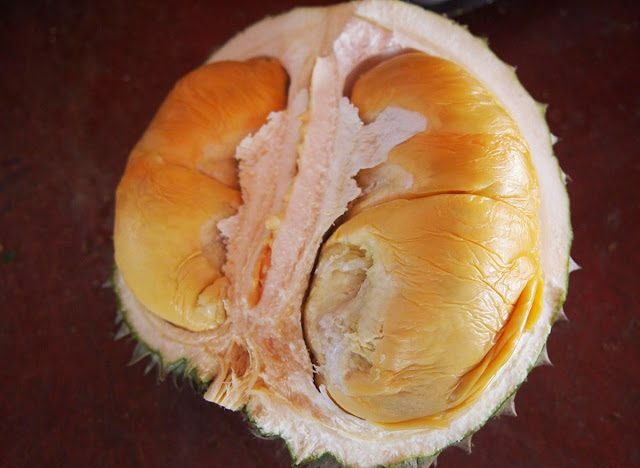 through their thorough inspection of its shape, husk and thorns of the durian fruit to ensure that it reaches the precise grade to be graded into the Red Prawn Premium category. Taste notes: Sticky with a sweet aftertaste. 1 x BOX = 1 KG OF DURIAN WITH HUSK. 1. No cancellations and No refunds. 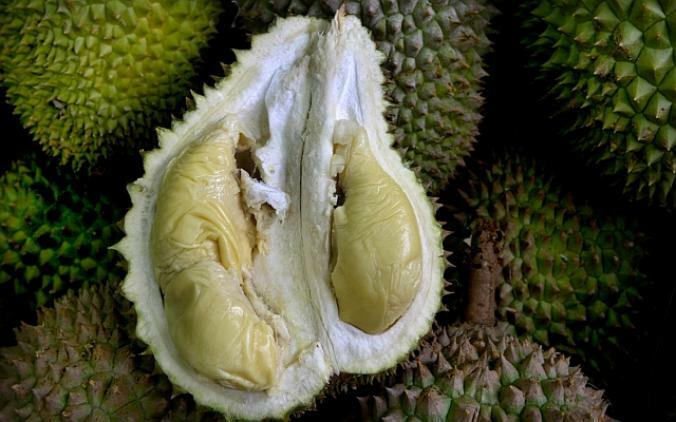 Once order is made the durians will be freshly sent from Malaysia to your home in Singapore. 2. Orders under $100 are subject to a delivery charge of $15. 4. feel free to browse and buy any durian products in our online store. as long the total of your purchase is $100 you will qualify for free delivery. 5. All orders under $100 you must make delivery payment before orders arrive at your home. You can choose to pay $15 online or $20 in cash to the delivery men upon delivery at your doorstep.